The Pilot of Pathways in District 57 (California) is going well! Enrolments into Pathways continue, and some members are earning new awards while many are continuing to complete awards in the current program. Here in District 22, we are continuing our preparation for the 2017 roll-out of the new educational program. To help keep you informed, I’m including some new information in this FAQ, including news about the Pathways Guides program, as well as including the previous FAQ questions I published back in July, November and December (I’m including all FAQ entries into this post so there is just one post). Note: This is a long post due to all of the questions and answers included. Also, there are links throughout the post to TI resources on the http://www.toastmasters.org website. As the foundation of your Toastmasters experience, Pathways is designed to help you build the competencies you need to communicate and lead. It’s a modernized learning experience suited to our changing global society. You’ll have the opportunity to develop additional skills you can use not just in your club, but at your job or in your community as well. Is the new program still called the REP? No. Revitalized Education Program (REP) was the name of the project to bring us our new education program. The new name is the Toastmasters Pathways Learning Experience, or simply Pathways. How is is different from our current program? What are the benefits of the new program? Each member will take an assessment which will help determine which path will best help you reach your goals. For instance, as a Project Manager the assessment (I helped with the pilot) directed me toward Persuasive Influence or Team Collaboration. Each path contains 14 projects across 5 levels. Each level has 2-3 projects, and in levels 3-5 there are electives to choose from so you can customize the more advanced topics. Why yes, we do. Click here to view the new Ice Breaker project. Note: You must log into TI’s website for this link to work. Once you’re in, click the “Begin” arrow to start. When do we see Pathways in D22? Have the dates for the 2017 rollout changed? Do we have firm dates for the rollout here in D22? Not yet. The first district (D57 in California) is working in Pathways now, and D27 in Washington DC is rolling out the program in March. After the first 3 districts (including D51 next) are on board, and the next region rollouts begin, we should see a more firm schedule. I still expect to have some better details in time for the Spring 2017 conference. As part of Region 3, we’re in the second to last group to get the new program, which means this will be well vetted by more than 60 other districts globally before we roll it out. How will this affect me and my club? What will change about my club meeting? 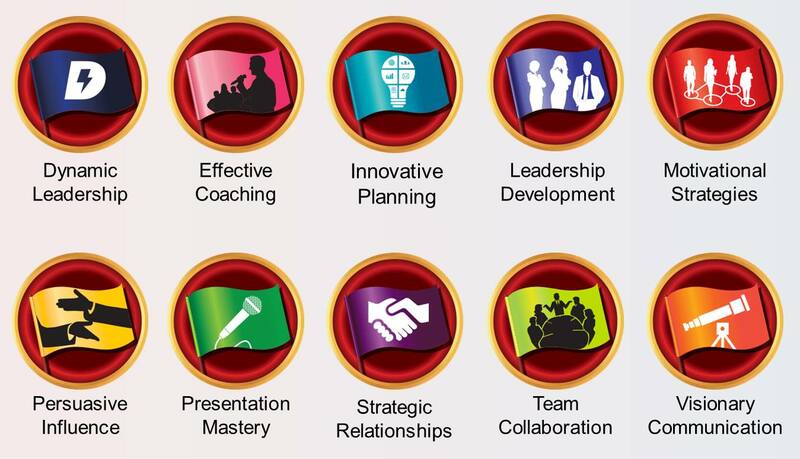 Pathways was designed to keep club meetings at the center of your Toastmasters experience. The biggest changes you’ll experience are the new opportunities to grow more skills and master additional competencies. You can still expect the same support from your fellow club members and the familiar structure of your club meetings. Should I keep working on my CC (or other award)? Yes. All awards received will remain valid, and any awards in work through 2019 (possibly through June 2020) can still be submitted for credit and will be recognized as they are today. TI HQ has confirmed that club officer roles, district service, and club support completed before the new system rolls out can be applied in the Pathways program (as long as they were not submitted for an award in the current program). Will my CC translate to a new path? On the flip side of the previous question, no. A DTM will still be a DTM, but a CC/ACB etc. will not translate to a new Pathways award. However, the skills you learn will still apply, and will make your progress in the new system easier. How will we get Pathways in D22? How will we accomplish a smooth rollout? In addition to the ambassador team, and your district support team, TI will be adding Pathway Guides as trained volunteers from in our district to support our clubs and members with the transition. What are the Pathway Guides? The Pathway Guides will work with the Chief Ambassador and Program Quality Director to serve as the first point of contact at the club level to help onboard our members seamlessly. Pathway Guides will visit clubs and work with the club’s Vice President Education to support the transition. What is the timeline for the Pathway Guides, and who are they? Pathway Guides will serve for six months, starting about two months before the scheduled rollout. For doing this important task, each Pathway Guide will receive credit for district office equivalent to serving 12 months as an Area Director (i.e. credit toward your DTM in either the current or new program). Who are the Guides for D22? They haven’t been selected yet. At our Winter TLIs, we’ll put out the call for volunteers. Rob and Clarice will collect names and qualifications, and Clarice (our Program Quality Director) will be responsible for selecting the 13-15 Guides we’ll have representing D22. Do I have to follow the path I’m recommended to follow? No, your path is your path. The recommendation is there to help you get the most out of the program, but it’s still your program. Will I have to store my evaluations on-line? No. The option will be there but it is not required. Can I change paths after I start? Can I skip ahead to the next level in my path? No. You’ll have to complete the skills in one level before you begin using them and learing new skills in the next level. How long do I have to complete my path? Toastmasters Pathways is a self-paced program. You are not required to complete your path in a specific amount of time. Move at your own pace to achieve your communication and leadership goals. Your path never expires. How will I access this Basecamp once the rollout occurs? You will be using your current login to the Toastmasters.org site. If you haven’t tried that lately, go to www.toastmasters.org and choose login. if you don’t know your userid and/or password, select “forgot password” and input your e-mail address to get it reset. Do I have to do it all on-line? No. The entire program will be available on-line, but you will have options for using printed materials. In the pilot some of us participated in, it was very easy to print out evaluation sheets for use in the club. What are the benefits of experiencing Pathways on Base Camp vs printed materials? Base Camp gives you a more robust learning experience. You can access your path online from anywhere with an internet connection, choose from all ten available paths, watch videos, complete activities and quizzes, download printable versions of your projects and resources, store your speech evaluations, give feedback to members of your club and earn badges. Printed materials are shipped from Toastmasters International World Headquarters. You have less path options and cannot view the videos or complete the activities and quizzes on your path. You can log in to Base Camp to see your path completion badges, print certificates and download and print resources. How will members of multiple clubs use Base Camp? You will assigne a “home club” to your profile in Pathways. For members of one club (about 90% of our members) that will be a one-time setting. If you’re also in a second club (i.e and advanced club) then you’ll have to set your home club to the second club before those meetings, and set it back afterwards. From the demo it looked to be an easy setting to change as needed. How do I get a DTM in the new program? How will the DCP (Distinguished Club Program) translate? Is there an Interpretive Reading project in Pathways? From TI (just this week): Pathways does not have interpretive reading projects at this time. However; projects can be adapted to include interpretive reading. Do I have to stop any work in the existing program if I want to start a new path in Pathways? No. You can work in both programs simultaneously during the 2-year transition period. However, the materials for the current program can’t be used for Pathways projects, and the Pathways materials can’t be used for the current program. Will the new system integrate with Free Toast Host (FTH), Easy-Speak or any other scheduling system? Right now the answer is no, and I’m not aware of any plans to do that integration before or during the roll-out. Pathways was not designed as a meeting scheduling system, but as a member you will be able to see your individual accomplishments in the system. Yes I’ll continue post more information in the blog and on the Facebook page. This entry was posted in Education and tagged Education, Pathways, Toastmasters. Bookmark the permalink.